The chapter gives a brief introduction to China’s fiscal stimulus in 2008 and the increase in Shadow Banks thereafter. These included Trusts, Wealth Management Products sold by banks, and other financial intermediaries such as online lenders. The Introduction also discusses the fiscal imperatives in China’s local governments that drove the Shadow Banking market. These include the need for non-tax revenue from sources such as the sale of land and property. In addition, there is a brief synopsis of the importance of a new form of quasi-governmental company, called Local Government Financing Vehicles. 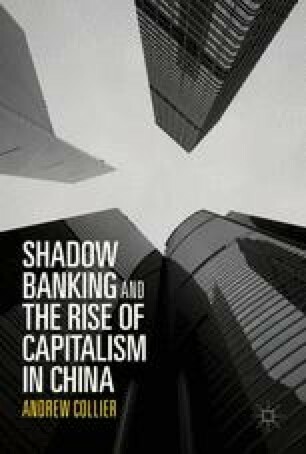 Last, the author concludes with a discussion of the risks and benefits of Shadow Banking in China.